Easy Portioner - Traust Know How ltd. The Easy Portioner combines True 3D high accuracy scanning with high speed servos to accurately cut products such as fillets or whole fish to desired lengths and weights. 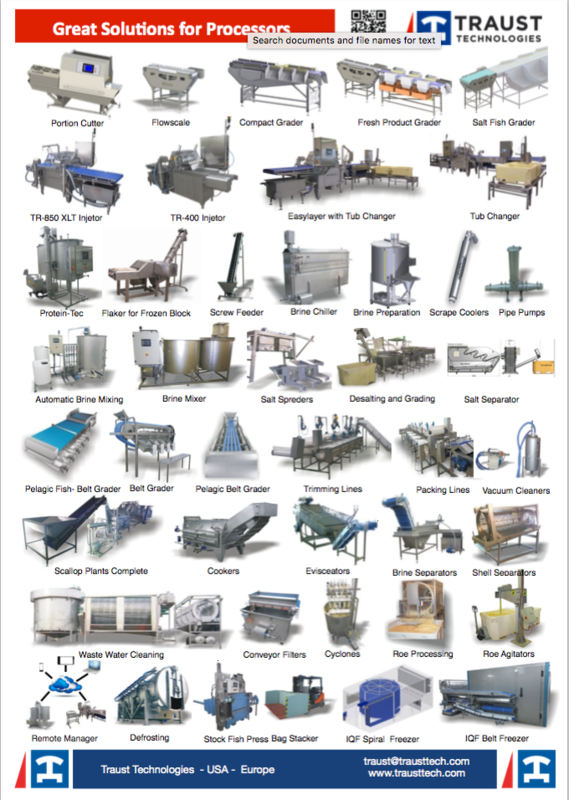 The user-friendly software makes the operation, cut selections and interface intuitively. Easy Portioner is designed to be used by normal skill labor. The system scans a product in motion, then calculates cuts to create maximum value portions. The software optimizes selection of multiple target portions to maximize recovery. A servo driven blade cuts the product into the desired portions with straight, smooth, and precise cuts. The EASY PORTIONER is more ACCURATE, more RELIABLE, and FASTER than any other portioning method. It produces higher yields, higher throughput, and higher productivity with reduced labor cost. We have had a successful business relationship with Traust Know-How / Traust Technologies for the past 7 years. 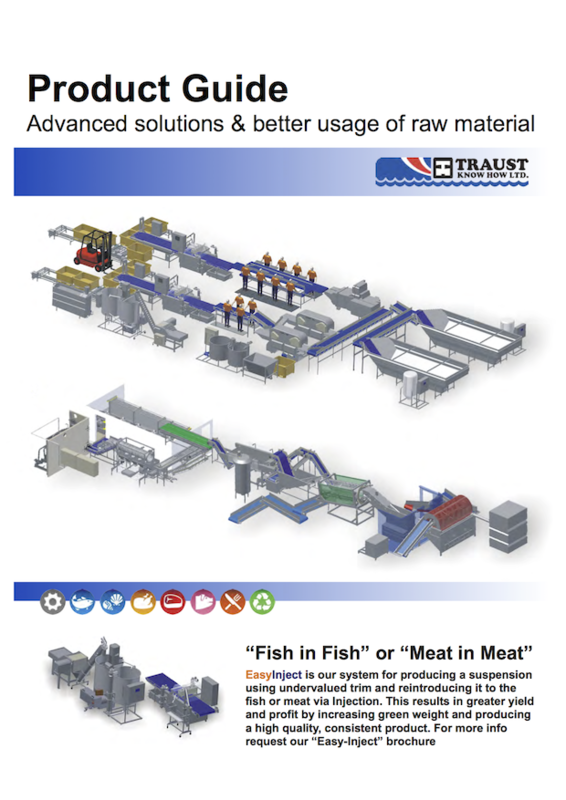 The production lines and systems from Traust, that we have installed, have taken my company to the 'top row' of companies in our processing field. Our new Easy Portion Cutter was running as promised right upon installation, exceeding all our expectations. The system is simple to operate and comes complete with all of the software needed for it to run flawlessly.